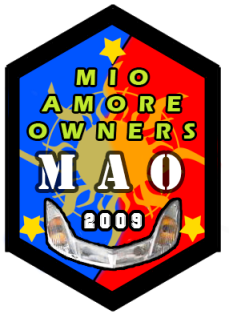 Old , new and aspiring members of Mio Amore Owners, introduce yourselves here. Requirements and membership details can also be found here. Safety precautions, Experiences and Hazards. Information about our meetings, upcoming rides and planned events will be posted here. Need help with your project mio? or having problems with your engine and all? Post it here and our gurus will help you fix your scooter problems. Lets talk about anything outside the scooter world. Share our different views to different issues. Talk about our hobbies, sports, gadgets, latest trends, anything and everything. Pictures of our rides, meetings and events should be posted here. Photo sharing is also welcome here. OT thread, Jokes, Humors and other kakulitan stuff. Buy and Sell Scooter products, parts and services. Post it here! NOTE: Commercial selling is not allowed.